Celebrate Canada Day July 1st in style with a Lobster Dinner Fireworks Cruise by www.MaritimeLobster.ca & Empress Of Canada www.empressofcanada.com . Win a pair of tickets valued at $160.00. Simply enter here at info@thewineladies.com or visit The Wine Ladies Face Book page to enter http://www.facebook.com/home.php?#/pages/The-Wine-Ladies/74962673175?ref=ts Winner will be drawn at random and announced on The Wine Ladies TV show June 30th,2010. Good luck everyone. If you missed last week’s TV show not a problem, watch The Wine Ladies TV podcasts and archived shows on www.thatchannel.com/TheWineLadies from anywhere and anytime. Also, don’t forget to set that radio dial to The Jewel Radio Network at 88.5 FM in Toronto, 98.5 in Ottawa and 107.7 in Hawkesbury on line at www.jewelradio.com every Sunday morning at 8:30a.m. to connect with The Wine Ladies radio show. On the heels of the most successful VQA brand Colio Estate Wines http://www.coliowinery.com/ has expanded the Girls’ Night Out brand http://www.girlsnightoutwines.com/ to include flavoured wine beverages…. Tropical Tango, a grapefruit, pineapple and lemonade flavoured wine beverage; and Strawberry Samba, with strawberry and watermelon flavours at just $6.95 each per bottle. Joining us in studio today V.P. Marketing Doug Beatty and Alison Modesto Sales and Marketing Coordinator Colio Estate Winery will give us the scoop why these wines are just perfect for your summer parties, a casual get together and cottage weekends. What’s the perfect food to go with these fun and casual wines? How about a great picnic lunch under a big old oak tree? To celebrate the introduction of the flavoured wines, enter to win a trip for four to New York City brought to you by Girls Night Out Wines. Shop till you drop and enjoy some girls night out talk! Value $4000.00 Contest closes August 15th, 2010. Enter here. Dear Wine Ladies, A white wine from Argentina made by the company Torrontes was a real hit at a barbeque I attended last weekend. Unfortunately I missed out as it was consumed all too quickly. Always open to something new, I’d like to know a little about this wine, it’s availability and price point thinking it might be a good choice for Canada Day celebrations. Susan San Diageo, California Dear Susan, Indeed it would be. Torrontés is actually the name of several white grape varieties mainly grown in Argentina, with one in particular the Torrontes Riojano being the most planted white wine grape in the country (according to our latest figures). The last several years we have seen these wines grow in popularity, due in part to producers paying closer attention in the vineyard and at the winery bringing fresh, well made, well priced and delicious wines to the market. The beauty of the wines this grape produces is in the fragrant and elegant aroma; enticing and inviting with floral notes, light peach and fresh apricot often with a touch of lemon. This coupled with good acidity and crispness on the palate allows the wines to pair well with a variety of summer fare. A wonderful sunny wine, both a palate and a pocketbook pleaser usually selling for approximately $12-$16.00. On the heels of the most successful VQA brand Colio Estate Wines http://www.coliowinery.com/ has expanded the Girls’ Night Out brand http://www.girlsnightoutwines.com/ to include flavoured wine beverages…. Tropical Tango, a grapefruit, pineapple and lemonade flavoured wine beverage; and Strawberry Samba, with strawberry and watermelon flavours at just $6.95 each per bottle and only 6.5% in alcohol. Joining us in studio today V.P. Marketing Doug Beatty and Alison Modesto Sales and Marketing Coordinator Colio Estate Winery will give us the scoop why these wines are just perfect for your summer parties, a casual get together and cottage weekends. What’s the perfect food to go with these fun and casual wines? How about a great picnic lunch under a big old oak tree? Join us for a picnic lunch this Sunday. And if you happen to miss the live show not too worry you can catch the podcast and all the archived shows at www.thatchannel.com/thewineladies.Click on www.thatchannel.com/thewineladies , click on PODCAST ARCHIVE, scroll down to The Wine ladies page and click on the show….WIN! Girls Night Out Trip to New York City! On the heels of the most successful VQA brand Colio Estate Wines http://www.coliowinery.com/ has expanded the Girls’ Night Out brand http://www.girlsnightoutwines.com/ to include flavoured wine beverages. On the heels of the most successful VQA brand Colio Estate Wines http://www.coliowinery.com/ has expanded the Girls’ Night Out brand http://www.girlsnightoutwines.com/ to include flavoured wine beverages…. Set that dial to The Jewel Radio Network at 88.5 FM in Toronto, 98.5 in Ottawa and 107.7 in Hawkesbury on line at http://www.jewelradio.com every Sunday morning at 8:30a.m. to connect with The Wine Ladies radio show. Canadian icon, singer songwriter Anne Murray http://www.annemurray.com/ also known as the #1 female celebrity golfer in the world joins us for a glass of wine and discussion on her career in music and the cause dear to her heart, Colon Cancer and much, much more. Anne Murray’s life has been personally touched by this illness and she has made it her goal to get the message out to as many people as possible goal that Colon Cancer is preventable, treatable and beatable! Colon Cancer is 90% preventable if detected early. In 2009 and estimated 22,000 new cases were diagnosed in Canada. Close to 9100 Canadians lost their lives that same year. Speak to your doctor and get the test, Colon Cancer Canada http://www.coloncancercanada.ca/ Also joining Anne on the golf tee and on the show multiple Juno award winners the very funny Jann Arden http://www.jannarden.com/ and humanitarian Tom Cochrane http://www.tomcochrane.com/ , hockey legend Darryl Sittler http://en.wikipedia.org/wiki/Darryl_Sittler and CTV Sports caster Brian Williams http://en.wikipedia.org/wiki/Brian_Williams_%28sportscaster%29 . All for a great cause, raising over $165,000 in support of Colon Cancer Canada. To our health and yours! Cheers! 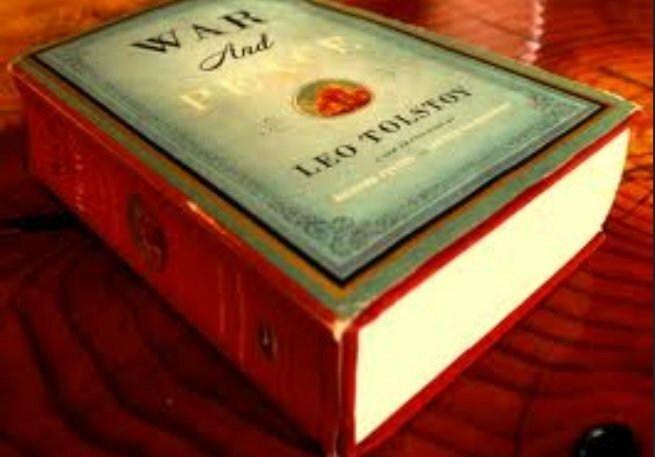 War and Peace wine lists make me nervous. I don’t know where to start and feel totally intimidated. I end up glossing over the pages taking way too much time trying to find something familiar and appropriate. Recently back on the dating scene, any advice on how to navigate such a wine list and order a suitable wine would be greatly appreciated.